The walled city of Aramanth is a city of rules and examinations: iron rules that mustn’t be broken, and examinations that everyone – from the smallest baby to the oldest adult – must pass. When Kestrel Hath dares to rebel, the Chief Examiner humiliates her father and sentences the Hath family to the harshest punishment. Desperate to save them, Kestrel and her twin brother Bowman set off on a terrifying quest into fire. Can they make the mysterious Wind Singer sing its song of liberation, and free Aramanth from evil? Winner of the Nestlé Smarties Book Prize and the Blue Peter Award for “The Book I Couldn’t Put Down”. A touching and relatable book about a girl determined to do what’s right. A brilliant adventure book. 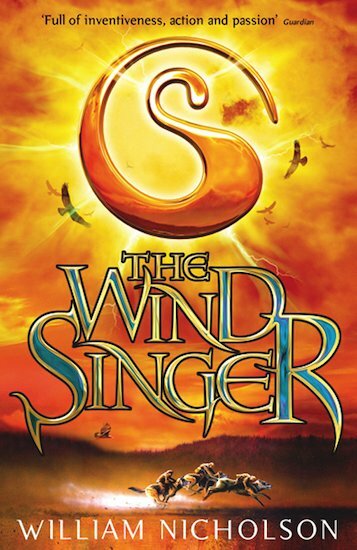 William Nicholson won both the Blue Peter and Nestle Smarties Prizes for The Wind Singer.